I didn't pick up my camera in 2018 until setting out for my Spring Break road trip in March. After doing a little casual shooting at my first stop in Arches National Park, I lit out for a new destination: Corona Arch. 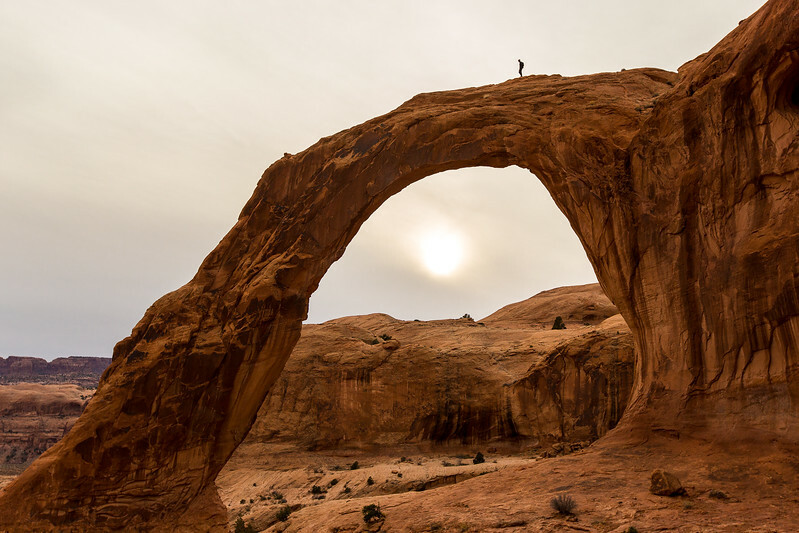 I was all by myself when I first arrived at the famous arch, which actually rests outside of Arches, but after a few contemplative minutes, another hiker arrived and promptly gave me the simple perspective that really makes this shot. 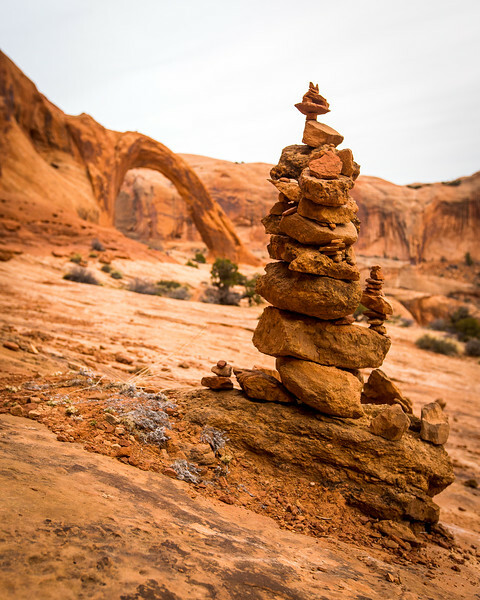 On the way back from a hike to Corona Arch in Moab, Utah, I stopped to photograph a particularly elaborate cairn with the arch still visible in the background. In fact, I'm pretty sure the little blip on top of Corona Arch is the guy I photographed after he hiked up onto the arch earlier that evening. I wasn't planning on shooting the sunrise at Mesa Arch when I passed through town in March 2018, but when you wake up at 3:30am for no apparent reason, you just have to assume there's a purpose for it. 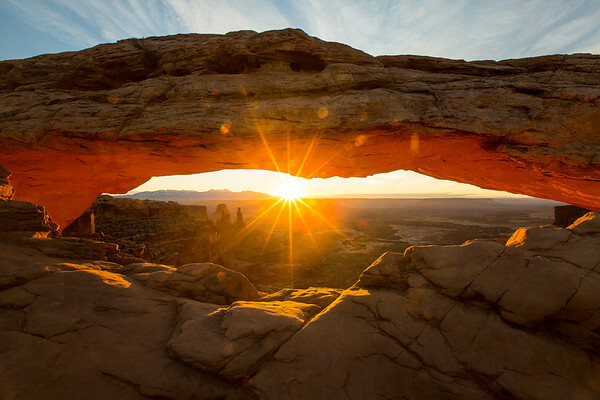 It was too light to do any real star photography by the time I arrived in Canyonlands National Park, but I did manage to stake out the prime spot to catch the sunrise under the very popular (even in early March) Mesa Arch. Worth a little lost sleep, anyhow. 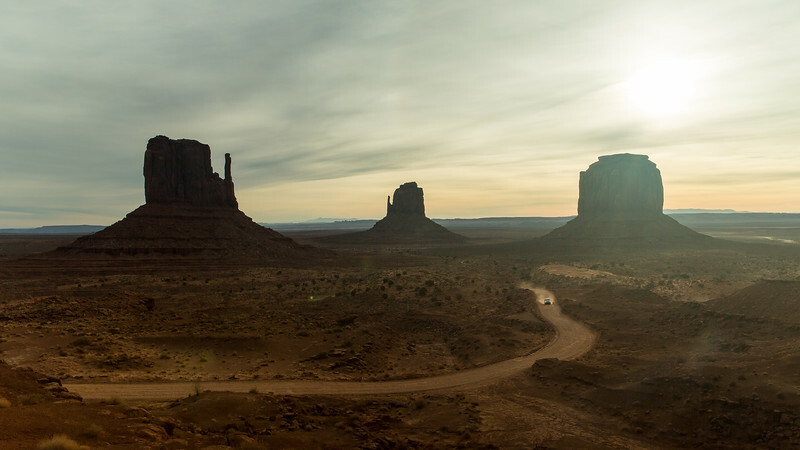 I fell in love with Monument Valley upon my first visit in March 2017, and spent the next year trying to justify a return trip for Spring Break of 2018. It still blows my mind that places like this could exist so close to where I grew up, and even if it took me a few years to finally take advantage of them, I'm very grateful that it finally happened. 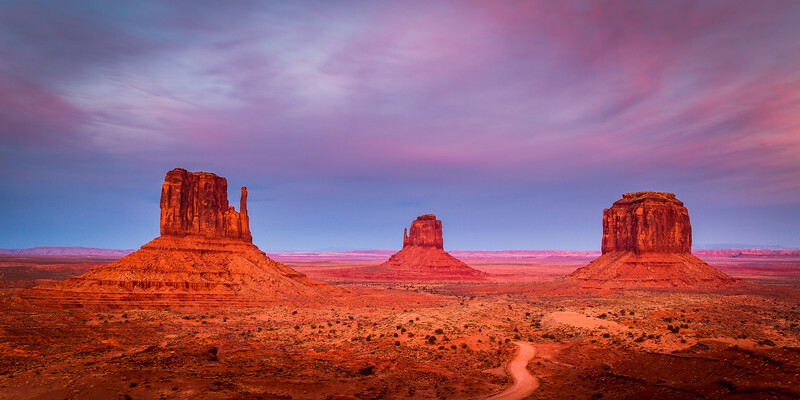 The previous evening I was able to get some beautiful color out of my sunset shoot in Monument Valley, but the images I got the next morning around sunrise got me just as excited, even if for the most part I was just getting silhouettes of the iconic rock formations that had been immortalized by so many Hollywood films. I especially like the little pickup truck in this one, tailed by a dust cloud. The last stop on my half-day visit to Mesa Verde National Park was at Park Point, a gorgeous overlook that, as you can see, makes for some nice sunsets. 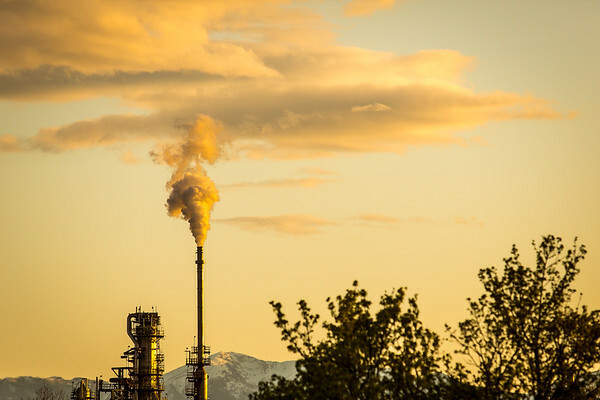 On a couple of occasions in the spring of 2018, I caught a few photographs of the various refineries that pepper the north-south corridor of the Wasatch Front west of Davis County. I liked how this shot, taken close to sunset, blended the smoke from the refinery with the clouds in the sky. 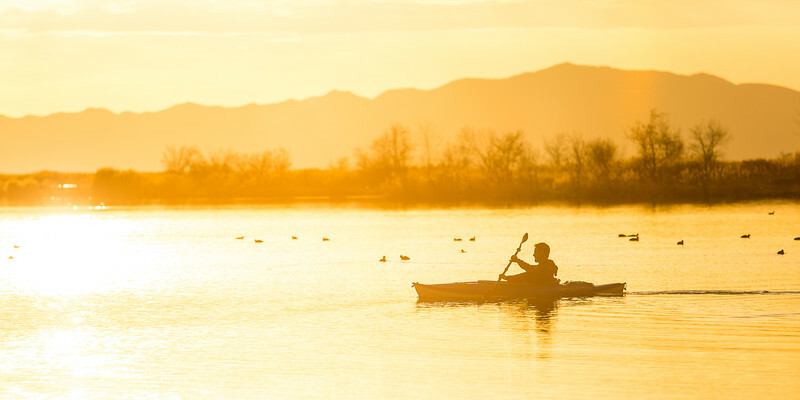 The light at Bountiful Pond when I dropped by in April 2018 was pretty on its own, but the birds and the guy who decided on a sunset kayak cruise really made my shoot. 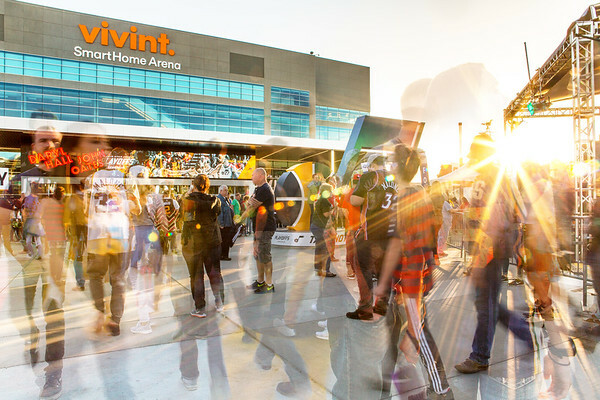 In April of 2018, I took my camera down to Vivint SmartHome Arena to photograph some of the activity before Game 3 of the Jazz-Thunder playoff series. Fortunately the late start of the game put the sun in a strategic position, and I assembled this image from a handful of shots that captured the excited comings and goings of the fans. After having been a season ticket holder for a five year stretch from 2006 to 2010, I can assure you: there's nothing quite like attending a Utah Jazz playoff game. 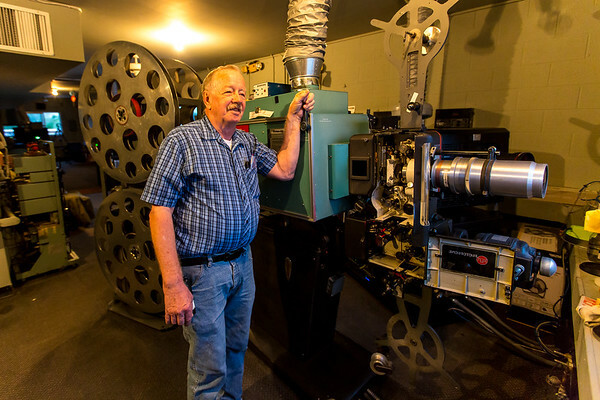 I got to meet longtime Redwood Drive-In projectionist Earl Shaffer during a pair of photo shoots in 2018. Pretty much all of the original projectors have now been replaced with updated digital equipment, but Earl was kind enough to fire up this last behemoth, which the crew still uses to show ad reels between screenings. Taking pictures at the Redwood was a lot of fun, and the experience was that much more memorable for the time I was able to get to know Earl and the drive-in manager Larry Healy. One of my all-time favorite photographs is a shot from LIFE magazine showing a drive-in movie theater in Utah. 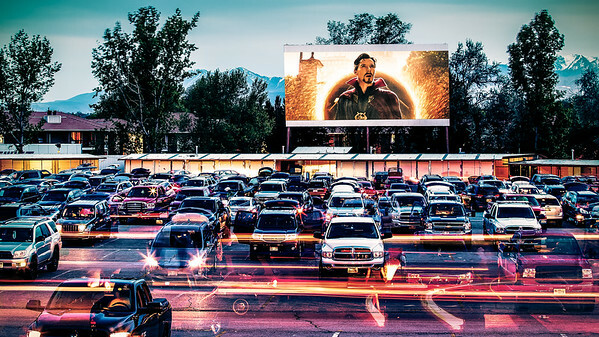 For years I'd wanted to do a shoot at one of the most iconic places of my own childhood, and finally in May of 2018 I spent an evening at the Redwood Drive-In out in West Valley, Utah, getting the raw materials for this modest photo illustration. As much fun as it was to take pictures, though, it was almost more meaningful to just stand there in the theater and feel what I felt so many times as a kid growing up in the 1980s, wishing I had some cherry Twizzlers and some Mr. Salty pretzel twists to complete the experience. 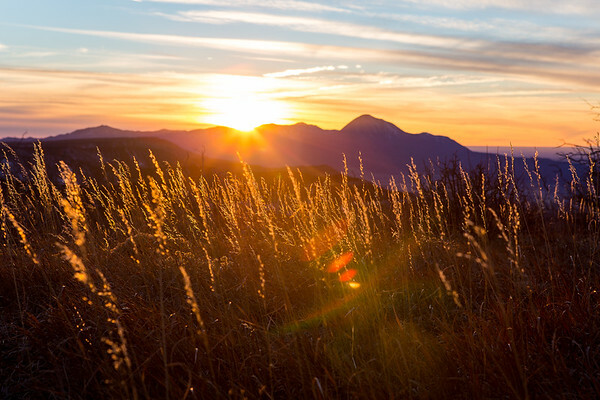 In the process of scoping out a new spot to photograph the annual 4th of July fireworks show at Eaglewood Golf Course in North Salt Lake, I also managed to find a great spot for photographing sunsets out toward Antelope Island. 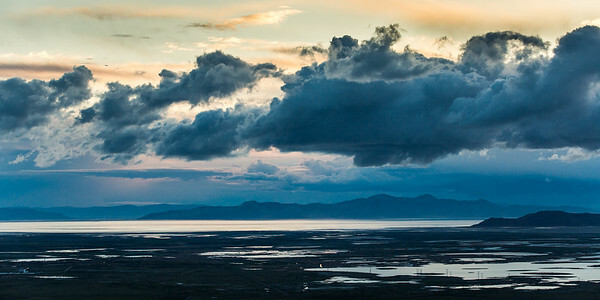 I got this image of some passing clouds up at a perch above the golf course, looking west just before sunset in the spring of 2018. 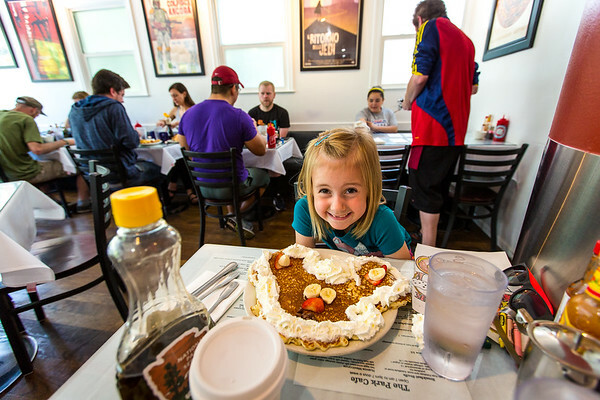 Salt Lake City's Park Cafe is a favorite in my family. Located in an old converted home on the south end of Liberty Park, I'm a huge fan of their bacon, hash browns, and chile verde chili. My nieces tend to go for their pancakes. 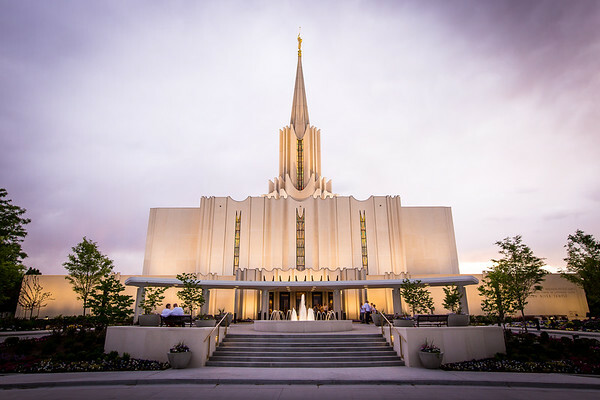 In May of 2018 I set out to photograph the newly re-dedicated Jordan River Temple, and wound up meeting a couple of other photographers in the process. Photography for me is usually a pretty isolated experience, but this night was a happy exception.